Count Dooku has arrived in Star Wars Battlefront II, bringing with him his deadly lightsaber skills and Dark Side Force powers. 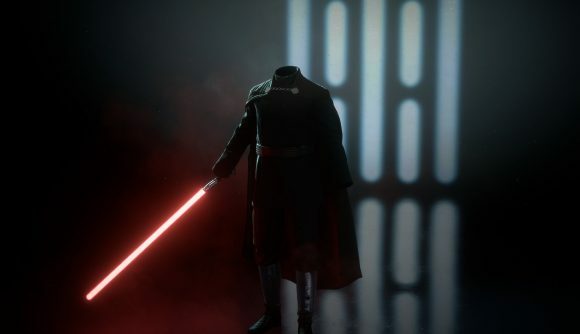 But modders have decided that Christopher Lee’s character looks a bit historically inaccurate with his hands and legs attached, so they’ve pulled an Anakin and removed them. As you’ll no doubt recall, Anakin Skywalker has a final confrontation with Dooku in one of the first scenes of Revenge of the Sith. Anakin severs Dooku’s hands, and at the behest of Supreme Chancellor Palpatine, he decapitates the fallen Jedi. That’s the last we see of Dooku in the main-line films, but it seems Count Dooku’s story doesn’t have to end there. Now you can play as “Revenge of the Sith Dooku” with a handy little Battlefront II mod. It does just what it says on the tin – Christopher Lee’s head has been removed, along with his hands. The mod doesn’t add any cauterized stumps or anything, so you’re left with Dooku’s costume, presumably animated by one of the Christmas ghosts Lee reads about on the BBC. I’m not sure if Headless Dooku is quite as good as Breast Cancer Awareness Vader, but it’s close. Head over to NexusMods to download Revenge of the Sith Dooku. Next month, Battlefront II is getting a new game mode that’s likely a nod to DICE’s Titan mode from Battlefield 2142. Those defenders will be in for a real surprise when Count Dooku shows up to take over their capital ship without his head.